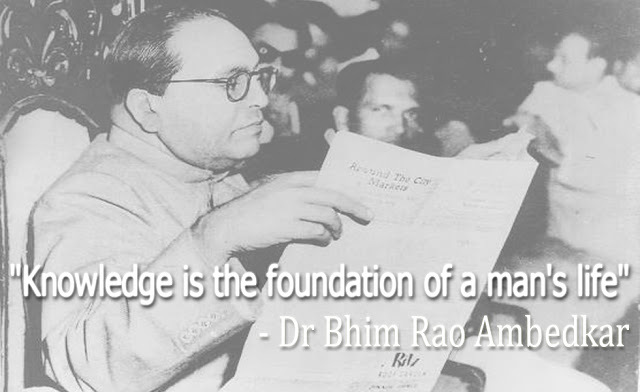 Bhimrao Ramji Ambedkar (April 14, 1891 - December 6, 1956), popular known as Babasaheb Ambedkar was an Indian jurist, politician, philosopher, economist and historian. He was independent India's first law minister and chairperson of drafting committee of Constitution of India. His birthday is celebrated as public holiday known as Ambedkar Jayanti or Bhim Jayanti. Here I have compiled down some of the famous B.R. Ambedkar quotes. Just hope you will like the quote compilation and able to learn something inspiring from these B.R. Ambedkar quotes. Freedom of mind is the proof of one's existence. Freedom of mind is the real freedom. If you study carefully, you will see that Buddhism is based on reason. There is an element of flexibility inherent in it, which is not found in any other religion. A bitter thing cannot be made sweet. The taste of anything can be changed. But poison cannot be changed into nectar. The teachings of Buddha are eternal, but even then Buddha did not proclaim them to be infallible. Unlike a drop of water which loses its identity when it joins the ocean, man does not lose his being in the society in which he lives. Law and order are the medicine of the politic body and when the politic body gets sick, medicine must be administered. Lost rights are never regained by appeals to the conscience of the usurpers, but by relentless struggle.... Goats are used for sacrificial offerings and not lions.